Twenty seventeen is finally here and we couldn’t be more thrilled! With a new year, comes new and exciting resolutions like living a healthier lifestyle. As cliché as it may be, there’s nothing wrong with making positive changes to your personal health and wellness. If you don’t know where to start, don’t worry. 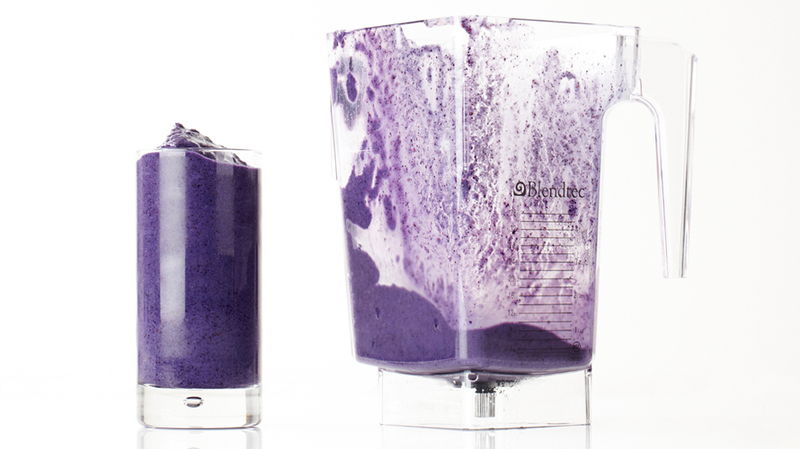 We’ve got 17 amazing superfood recipes for you that are here to stay! 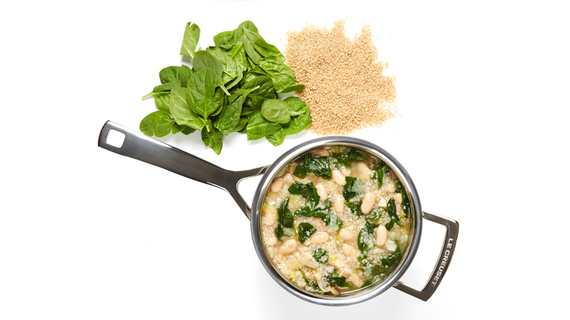 Not only are they nutritious, they are also easy to make and will leave you feeling as great as they taste. 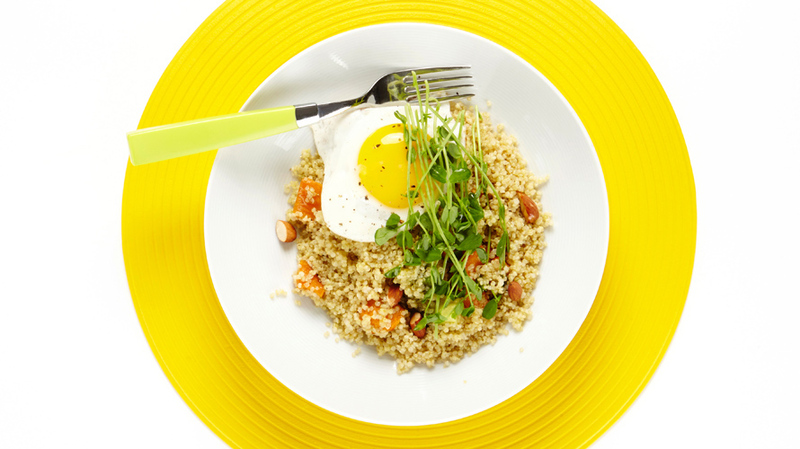 From a healthy and hearty Roasted Sweet Potato Quinoa Bowl to a protein and fruit-packed Blueberry Banana Smoothie, we’re covering all grounds. We’ve got loads of mouthwatering drinks, soups, sides, snacks and mains that will leave you wanting more. 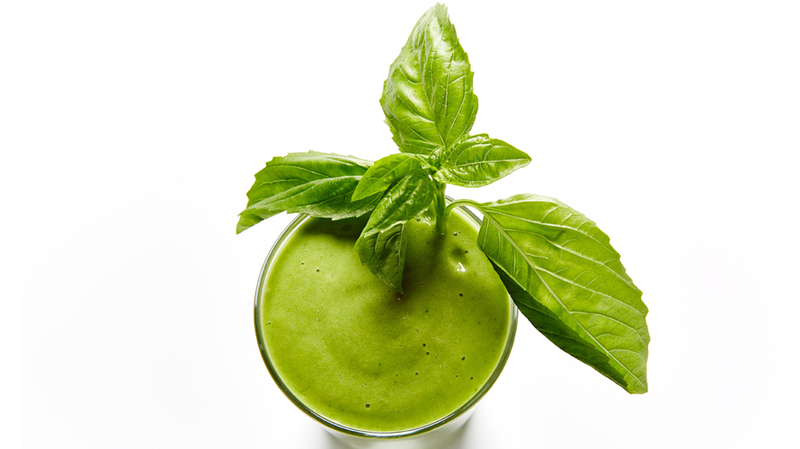 And that’s OK…After all, it’s all healthy! Get ready to kick off 2017 in a super yummy way! 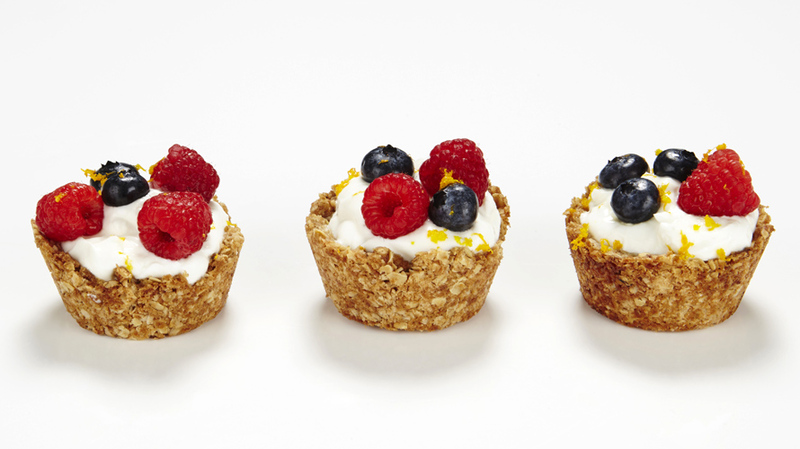 Have a happy and healthy new year and don’t forget to dig in. 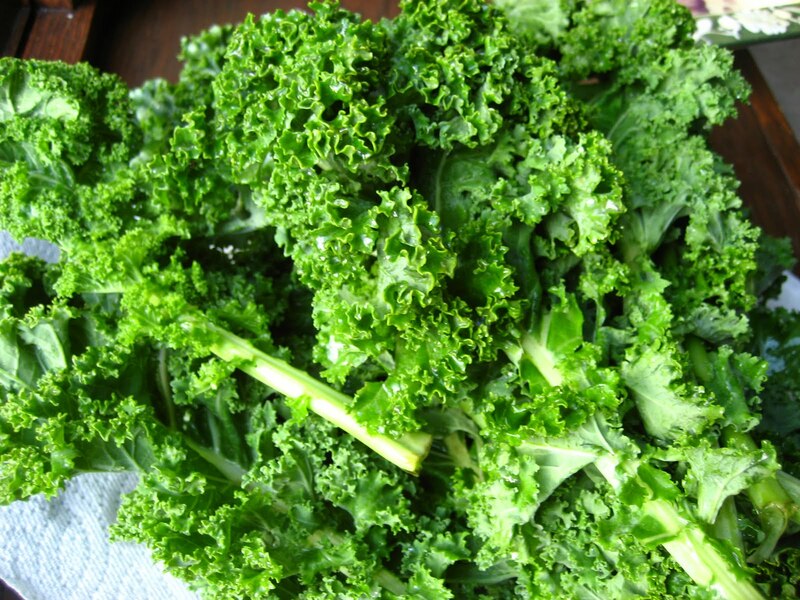 Reach for a bunch of kale and bake up these healthy and delicious Kale Chips. 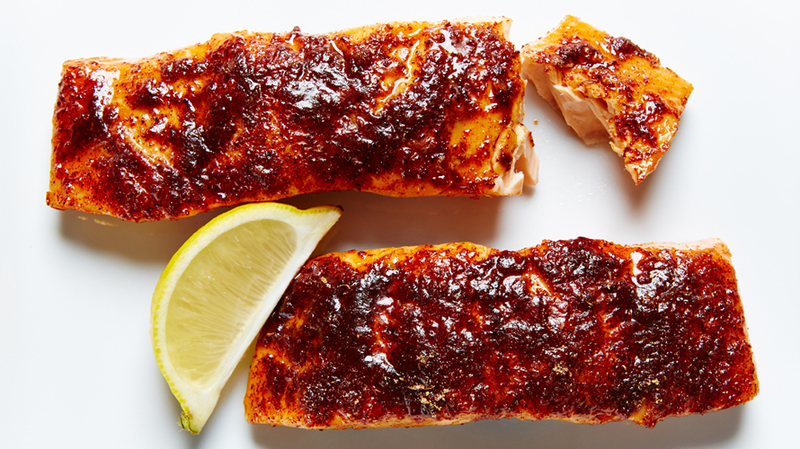 Salmon is marinated in pineapple and lemon juice and then baked with a sweet and spicy topping, leaving every bite the perfect blend of flavorful (but mellow) fish! 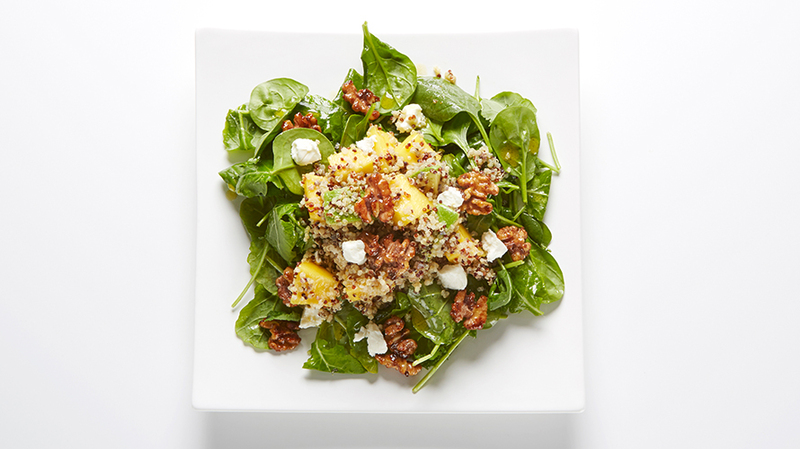 This Kale, Spinach and Quinoa meal-in-a-bowl is a winner, a green bowl full of super nutritious and delicious stuff (including mango and avocado), tossed in a zesty lemon shallot dressing and topped with spiced walnuts and creamy goat cheese. 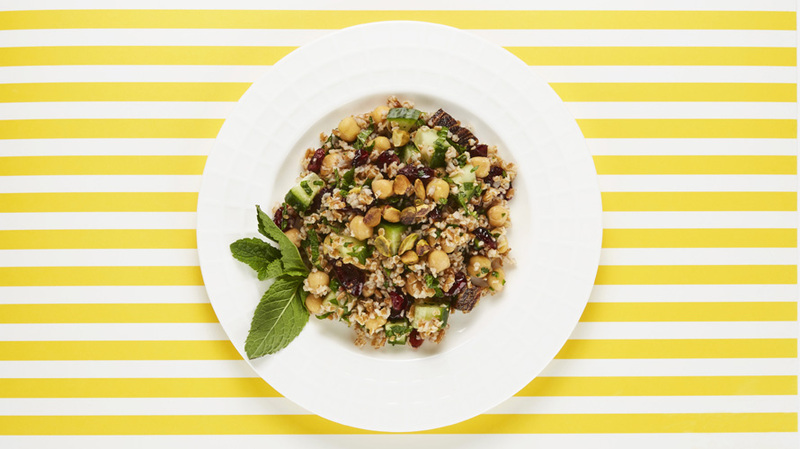 Chock full of fresh herbs, dried fruit, juicy cucumber and protein-rich chickpeas, this bulgur salad is tossed in a lemon shallot vinaigrette and is topped with crunchy roasted pistachios. 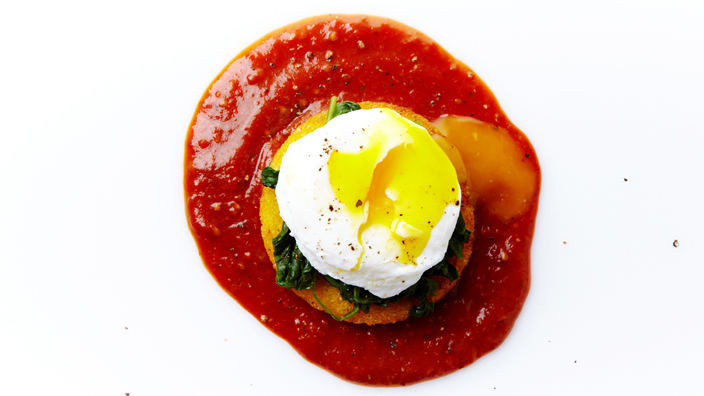 This amazing egg recipe has it all — a base layer of delicious homemade oven-roasted tomato sauce followed by a toasted polenta square, sautéed arugula and crowned with a perfectly poached egg. 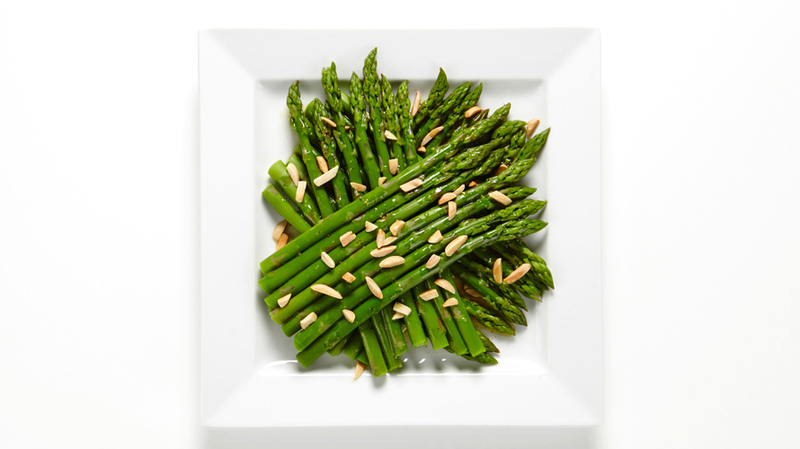 The fleshy green spears are easily enhanced with the addition of this honey Dijon vinaigrette, a light tangy dressing that perfectly balances the sweet with savoury. 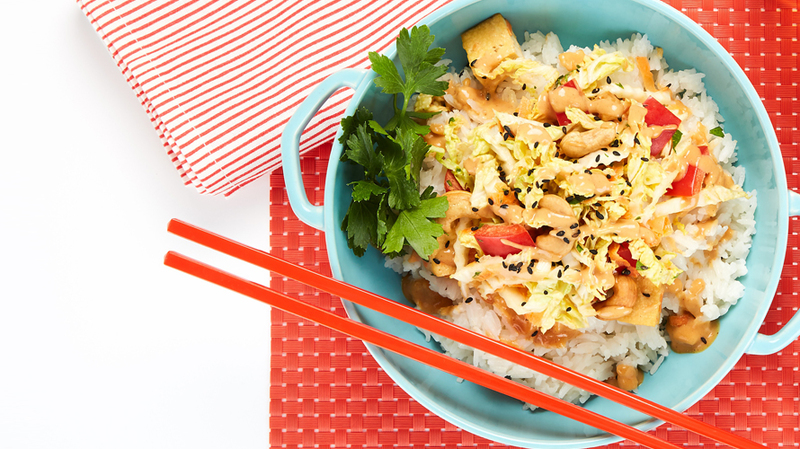 We can’t put down our chopsticks with this tasty number — with a delectable ginger peanut sauce, this Coconut Rice Bowl with Ginger and Tofu Slaw makes for a mouthwatering meal. This easy risotto is a crowd pleaser, even for those who don’t love beets — they lend a splash of brilliant color and earthy sweetness to this stunning rice. 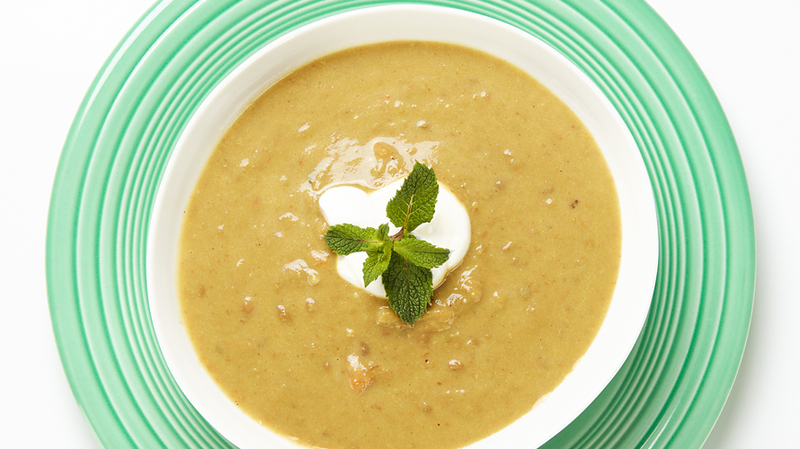 This fragrant, hearty, spiced, vegetable-packed lentil soup recipe will transport you straight to the Taj Mahal. 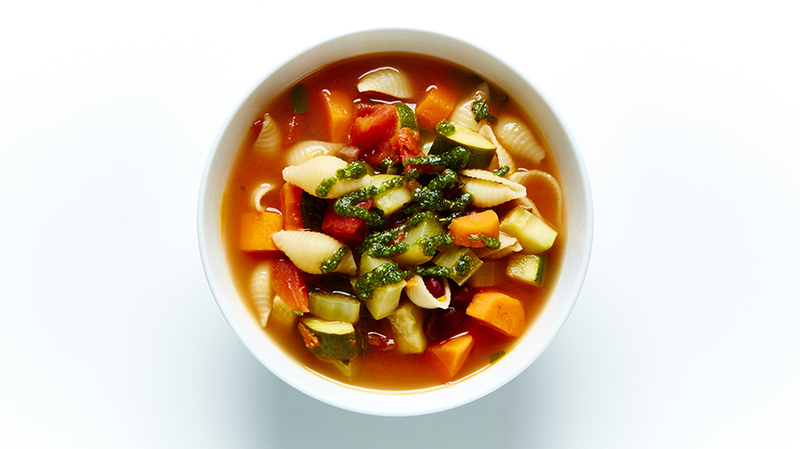 The rich-tasting broth, loaded with vegetables (carrots, celery, zucchini, spinach, to name a few), fresh herbs and finished with a pesto drizzle, makes this easy and satisfying Minestrone Soup Recipe numero uno in our bowls! 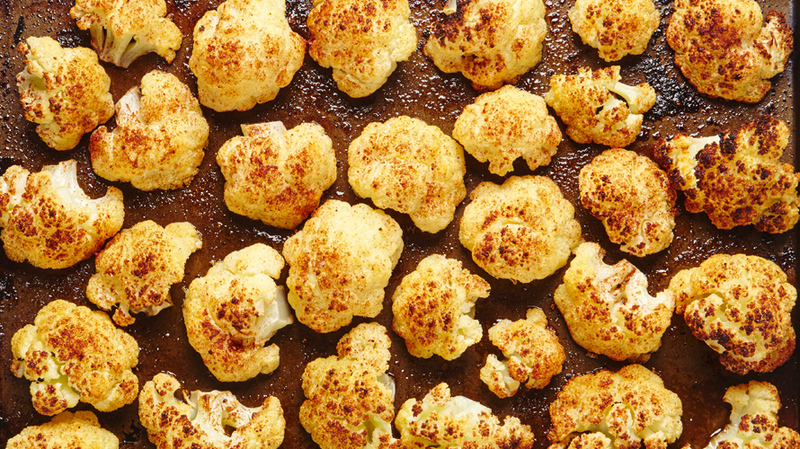 When roasted, cauliflower is transformed into an elegant, sweet and tender side dish — a truly brilliant veggie with a Phd in Gastronomy. 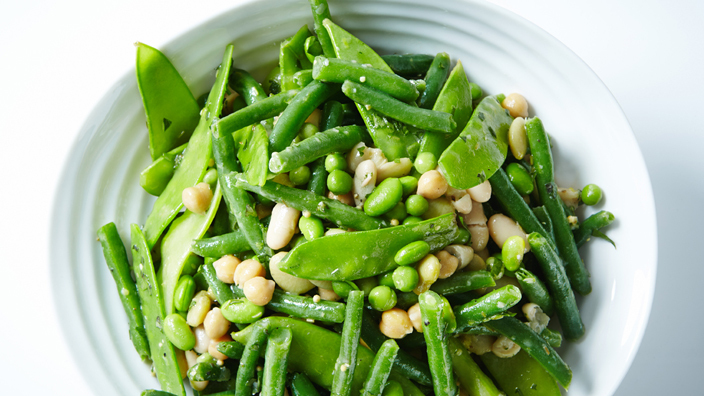 This quick, easy and healthy salad, a combination of tasty beans tossed in a tangy Lemon Dijon dressing, is guaranteed to become a staple at your table.